Textile net for safety enclosure for 2.44m round trampoline. Did one of your kids' jumps get the best of your textile net and now you need a new one? 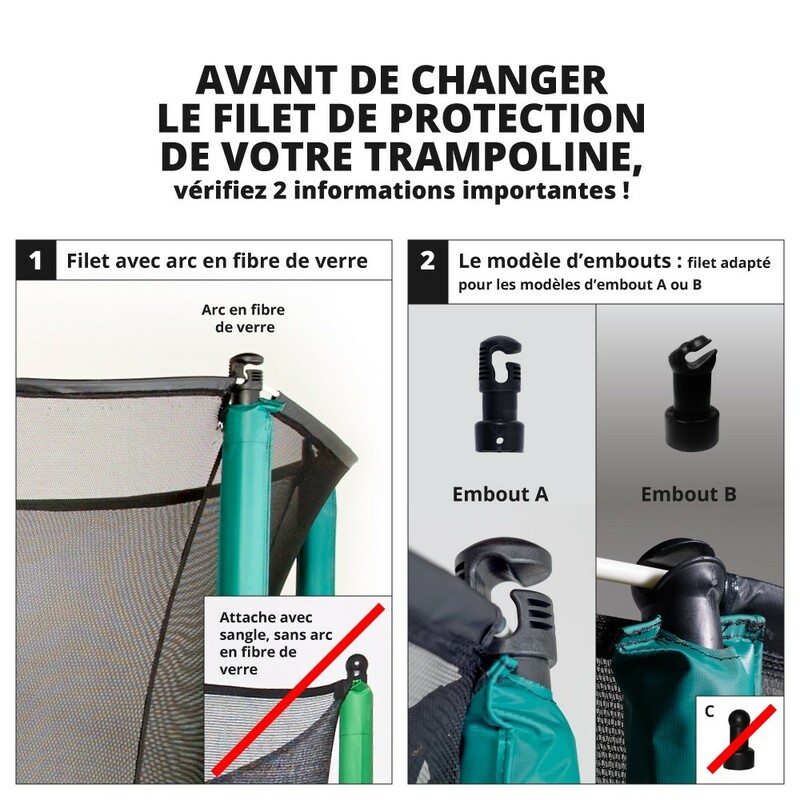 France Trampoline is here for you, we offer a large range of spare parts. If your posts and fiberglass rods are still in good condition, there is no point changing everything. You can change just the textile net and give your trampoline a new momentum. 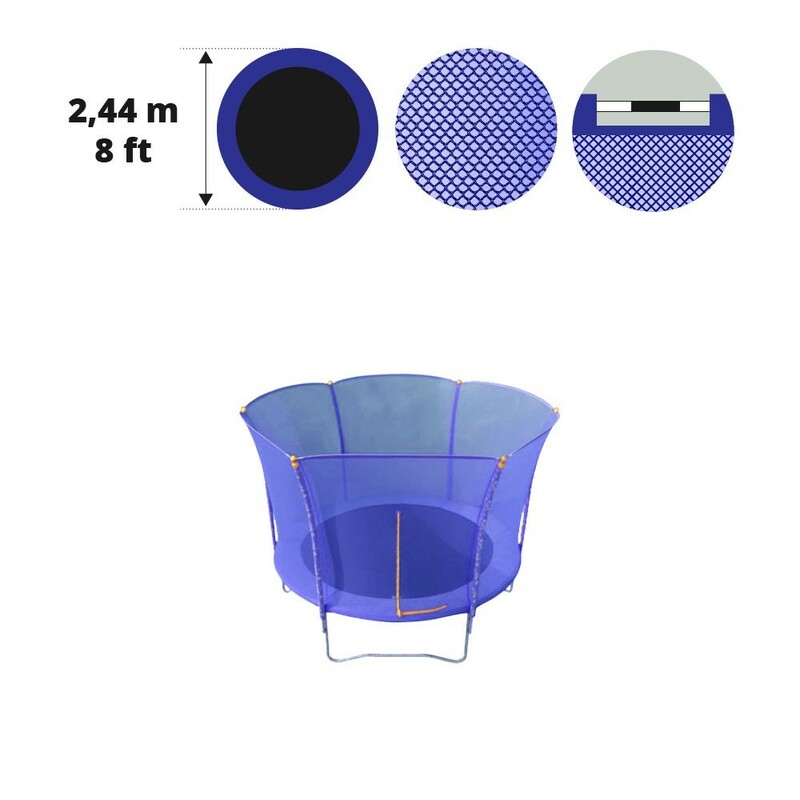 - This net will fit a trampoline with a 2.44m diameter, that has 6 outward curving posts, that are stood on "W" shaped feet that will maintain your safety enclosure with the whole. - This high-quality net is made from 130g/m² polyethylene, a robust material that can safely withstand years of jumping. Its fine braided mesh leaves no space for children to get their fingers caught. - An L shaped zip door is found in the netting allows the jumper to gain access to the trampoline. This door can be used inside and outside for an even easier access. - To install the net, you will need the fiberglass rods, an extremely efficient system that is found at the upper part of the textile net inserted into sheaths and is fixed on the end pieces to consolidate the safety enclosure and distribute the tension of the protective net. - The lower part of the net has elastic straps with hooks to tension the textile net as much as possible.